Yikes! The tooth fairy better watch out when she comes to pick up that central incisor. If you want to see an even scarier picture click here! She looks like one I wouldn’t want to mess with. 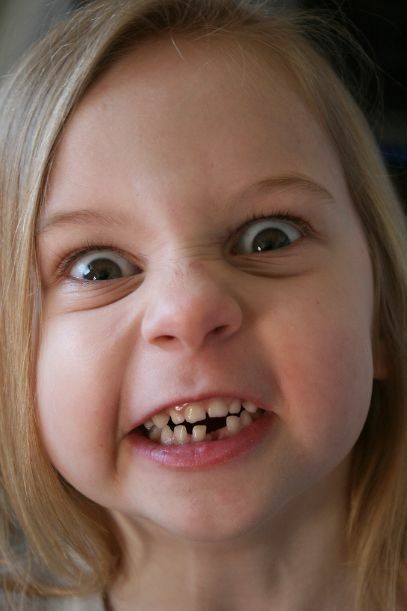 I bet she´s mad because the tooth fairy did not give her as much as she thought that tooth was worth!